1. Select List under Paired Phone List. 2. Select a phone to delete. 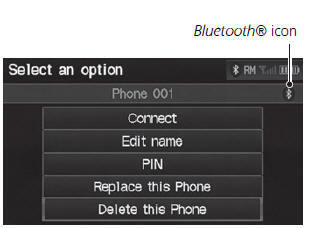 ► The Bluetooth® icon indicates the currently linked phone. When you transfer the vehicle to a third party, delete all paired phones. 3. Select Delete this Phone.